Four harpsichord concertos by Johann Sebastian Bach (BWV 1052, 1061, 1062 and 1065) in an exciting new arrange-ment for marimba ensemble and orchestra. 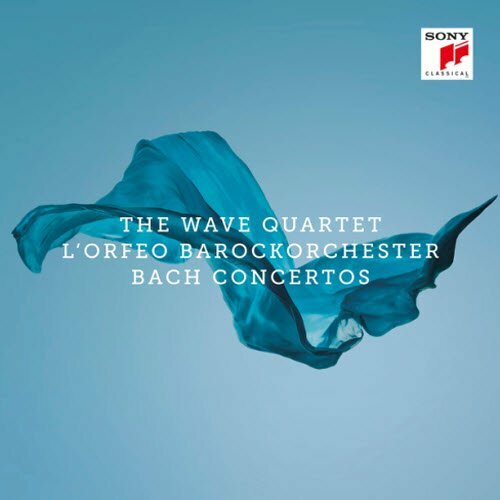 The Wave Quartet has been hailed as one of the most interesting newcomers in the field of classical music. 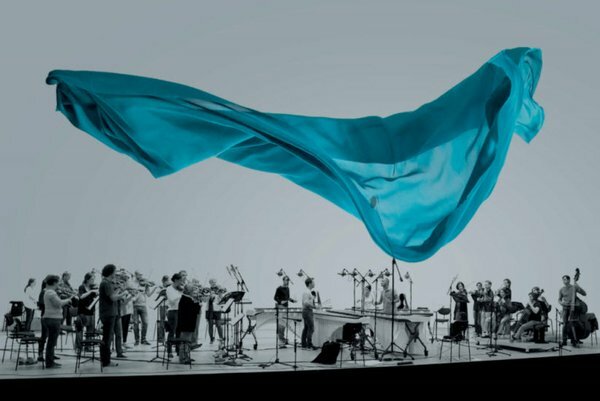 Partnering on this album with the renowed L´Orfeo Barockorchster under the direction of Michi Gaigg. 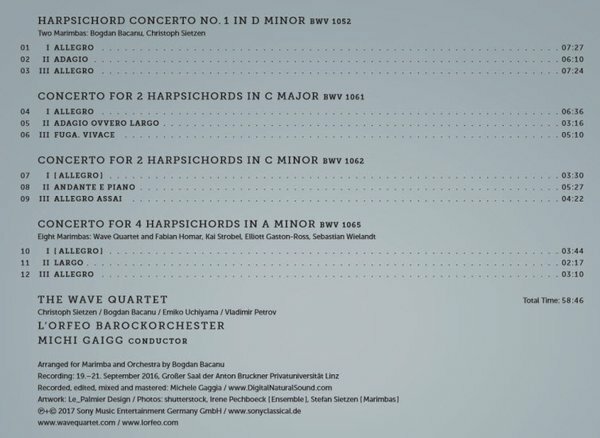 This new arrangement makes these popular concertos sound refreshingly light and modern. Specialist promo & marketing activity. listening habits and ensuring that familiar works sound completely new and fascinating. refreshingly light and modern. At the concerts they gave in the run-up to their recording, the music was enthusiastically received by their audiences.